During this year we could see a bull run that would take the price of Bitcoin to $25,000. This is what Thomas Lee, co-founder and head of research at Fundstrat Global Advisors. The prediction comes after he miss-predicted a price increase in Bitcoin after the Consensus conference, as happened during the last years after the event. Thomas Lee is a very important figure in the cryptocurrency world, that has been predicted crypto-related prices and trends In the last years. The last accurate prediction was related to the US tax day in April, when he explained that Bitcoin was going to increase its price in the coming weeks. And that’s what happened. Then, he said that Bitcoin was going to rally during and after the Consensus conference in New York, but this did not happen. At least, until now. In a tweet, he explained that his forecasts was focused in two main points, community interest (more than 4000 individuals attended the meeting), and a ‘centralized place’ that was going to gather all the best minds and experts from the blockchain, crypto and financial industries. 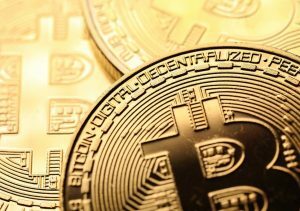 As reported by Bloomberg, Fundstrat still expects a Bitcoin of $25,000 by the end of 2018. But for 2019, Mr. Lee said that Bitcoin will be worth $36,000 in 2018 based on the historical average 1.8x P/BE multiple. At the moment of writing this article, Bitcoin is being traded around $8,500 dollars and is registering a 2.45% increase in the last 24 hours. Most of the cryptocurrencies in the market are operating with moderate gains. Tron (TRX) is the exception which is now the 9th most important virtual currency in the market and has registered a price increase in the last 24 hours of 13.61%. Some time ago, we wrote at UseTheBitcoin a post in which we gathered all the most important bitcoin price prediction for 2018, and the coming years.